Find a school in which you can learn foreign languages from Direct Language Lab coursebooks. The application WORDS is free of charge. 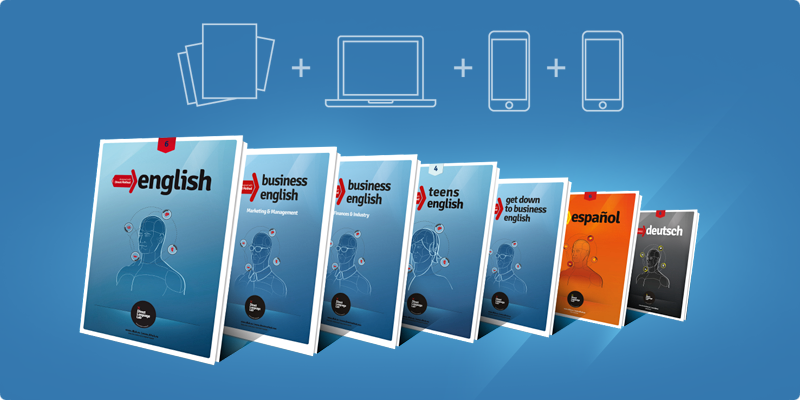 The application WORDS has been designed for the English designed with Direct Method coursebook series 1-6. This application contains all the vocabulary from your coursebook, including the pronunciation and translations. The app will enable you to record words, analyze and practise your pronunciation. It is a great tool to improve your accent. The vocabulary in the app WORDS appears in the same order as in the coursebook. The access to the Internet platform is free of charge. To gain the access use the discount coupon printed in your coursebook. After registering a new account in www.dlhub.eu and logging in, you should go to the COURSES page. Choose the course dedicated to your coursebook and gain access by using the discount coupon. The discount coupon is valid for 10 months. If you want to enjoy the additional benefits that modern technology offers, you should download our Interactive Coursebook application and purchase the interactive coursebook. You can listen to all the words, explanations as well as answers and questions recorded by native speakers in order to find out how to pronounce words and sentences as well as to learn the correct pronunciation. You can view and hide the vocabulary translations as well as answers to the questions in order to study in an active and effective manner. Our app contains a useful dictionary in which you can find words in your book and jump immediately to the right place in order to practice them. The app knows what you have already done and where you finished studying last time so you do not waste time looking for material. We will be happy to help you find a recommended language school where our textbooks are used for language courses. Check out the list of schools to find a school near you. HOW DO I FIND A LANGUAGE SCHOOL AND BUY A COURSEBOOK? Can a private individual buy the coursebooks for private use? No, because the coursebooks are designed for the direct method, which doesn’t work without a teacher. We recommend that you find a school using the DME coursebooks in your region in our List of schools. How do I find a language school? We can recommend finding the nearest language school where language courses are conducted from our textbooks in the List of Schools on our website.